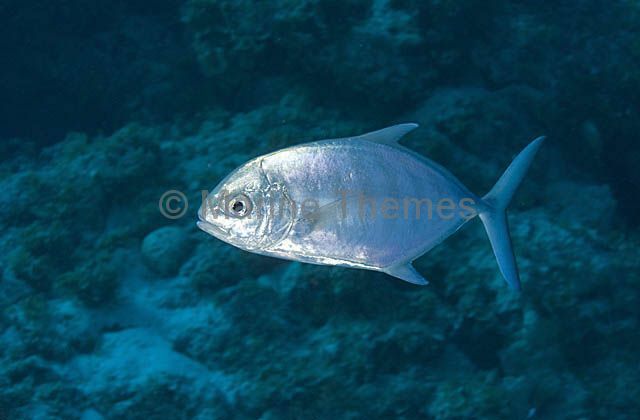 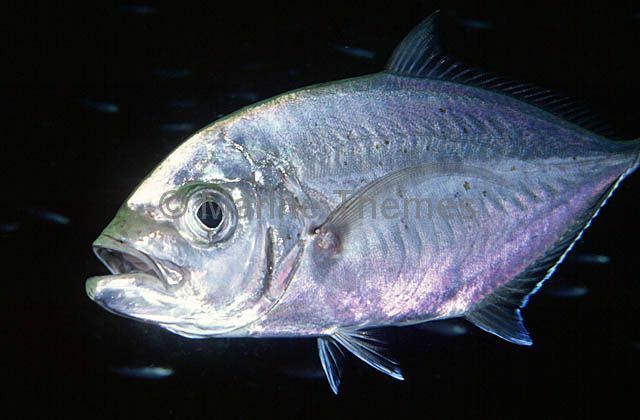 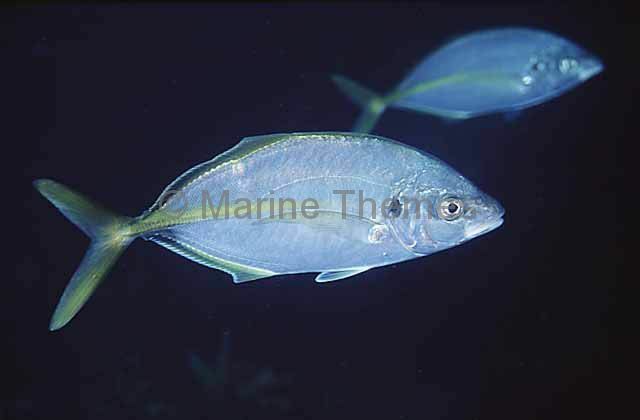 Silver Trevally (Pseudocaranx dentex) with shark bite makes on flanks. 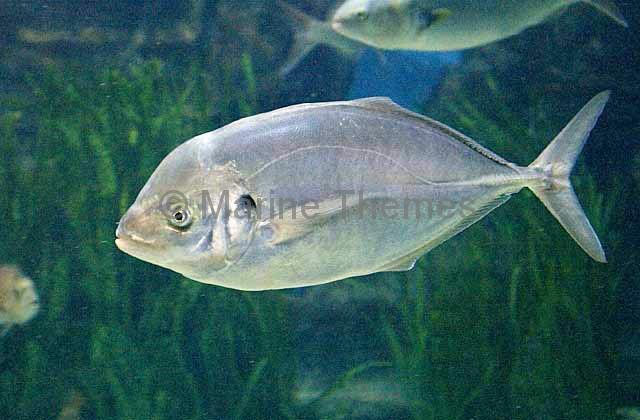 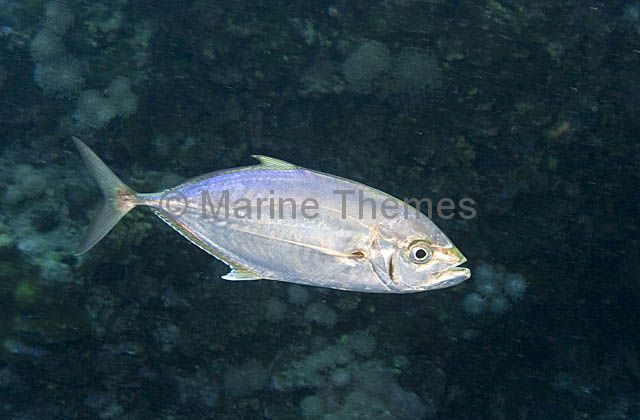 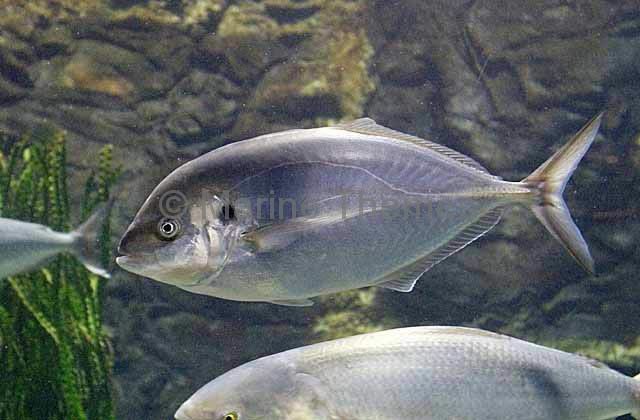 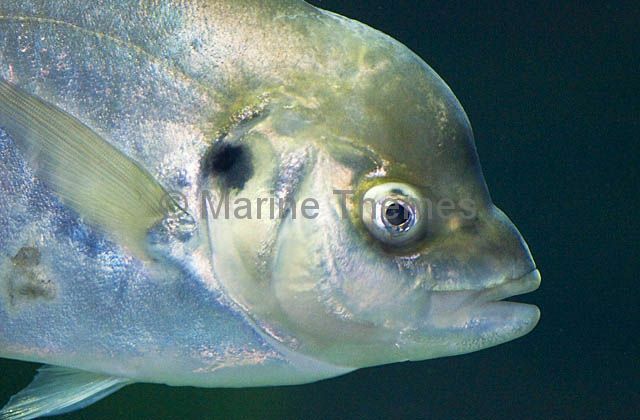 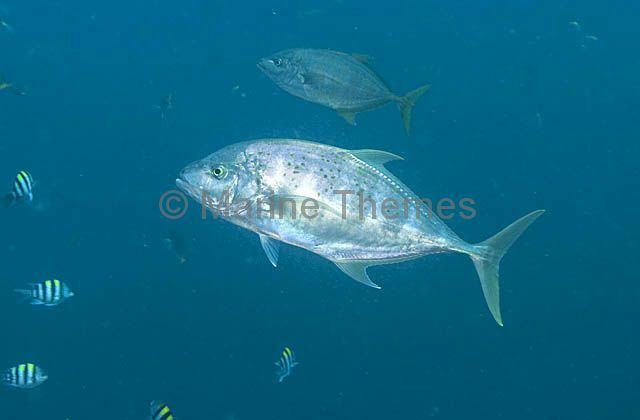 Silver Trevally (Pseudocaranx dentex) Mature adult. 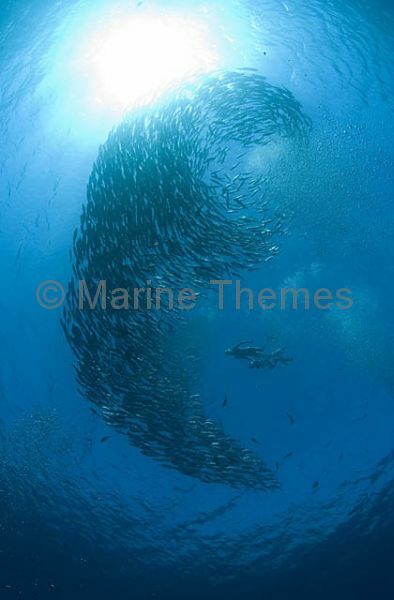 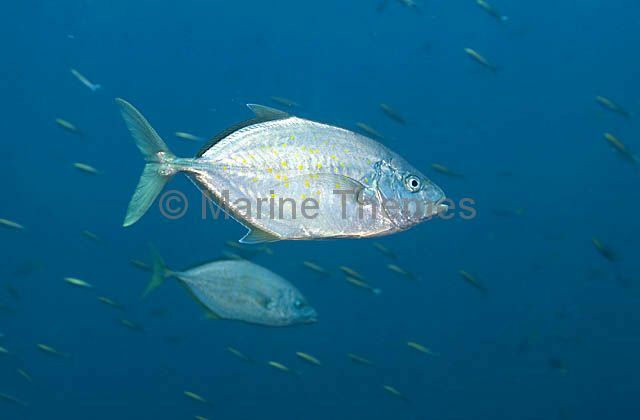 Horse-eye Trevally (Caranx latus) schooling in mid water. 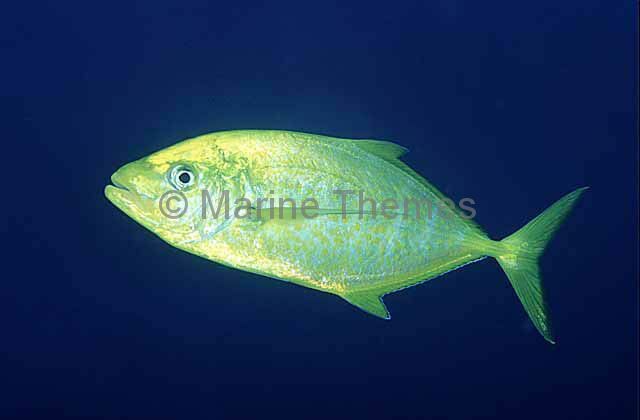 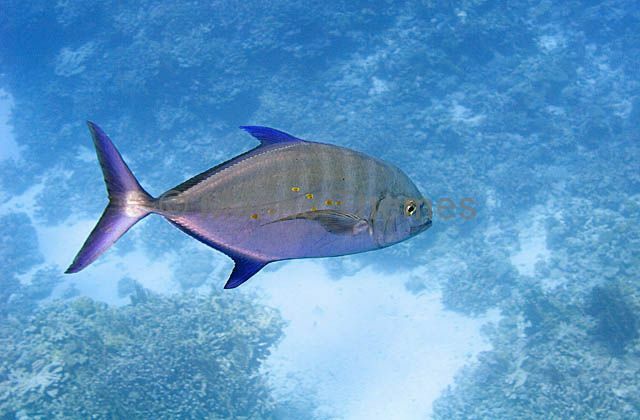 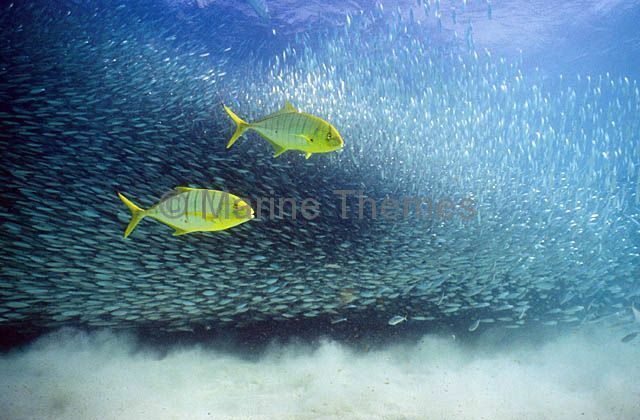 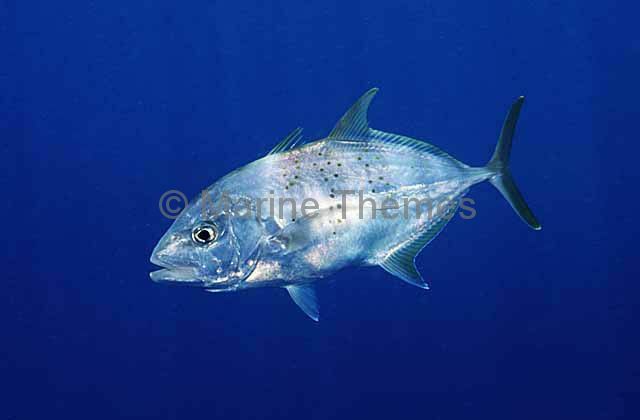 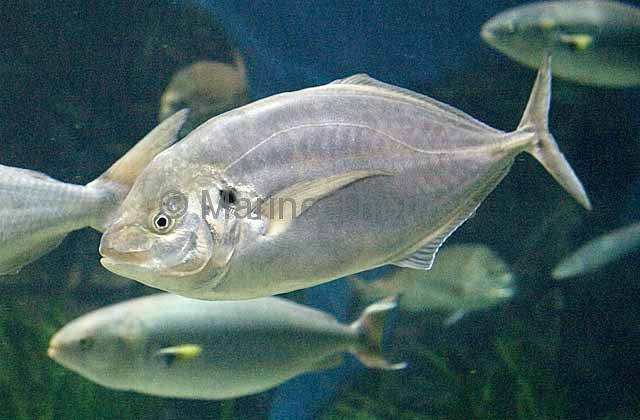 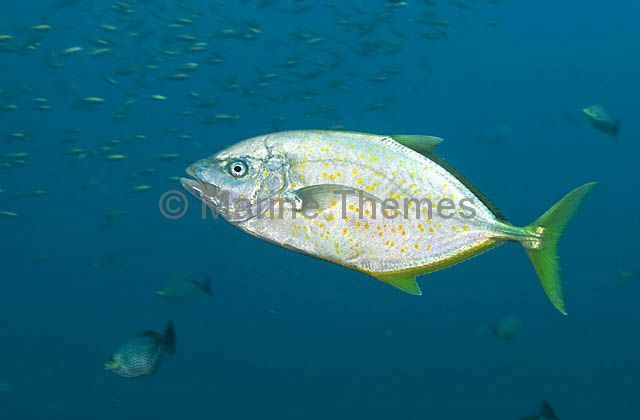 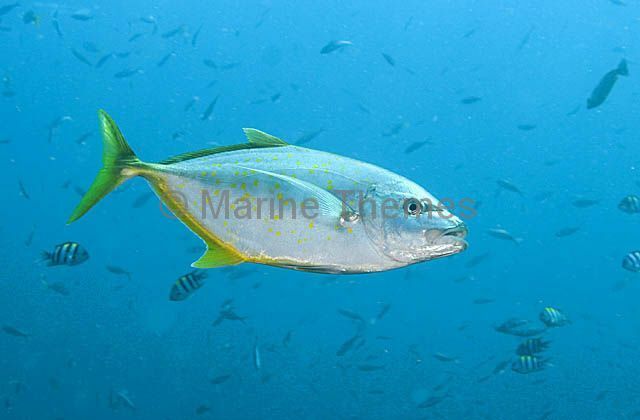 Golden Trevally (Gnathanodon speciosus) Male changed to dark hue while following female during courtship advances. 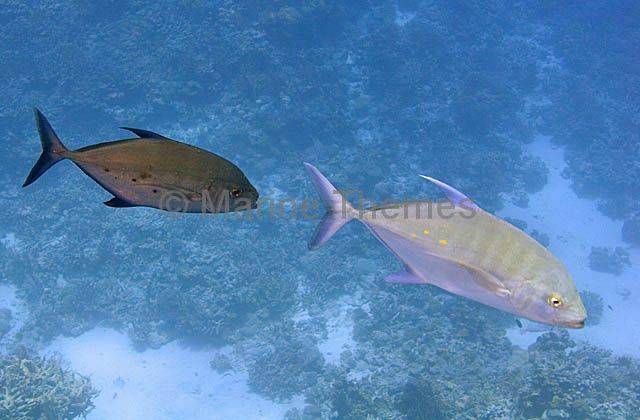 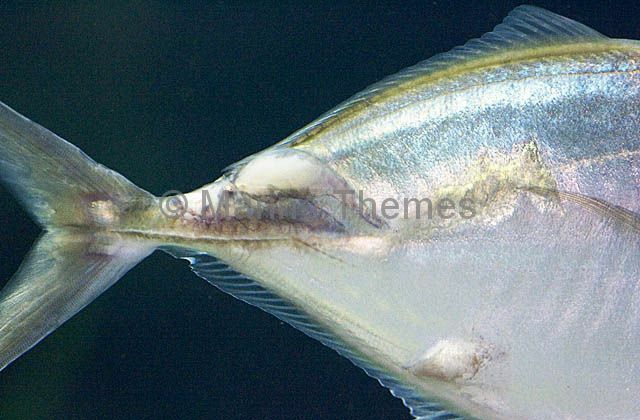 Golden Trevally (Gnathanodon speciosus) Male changing to darker colouration during courtship advances towards female. 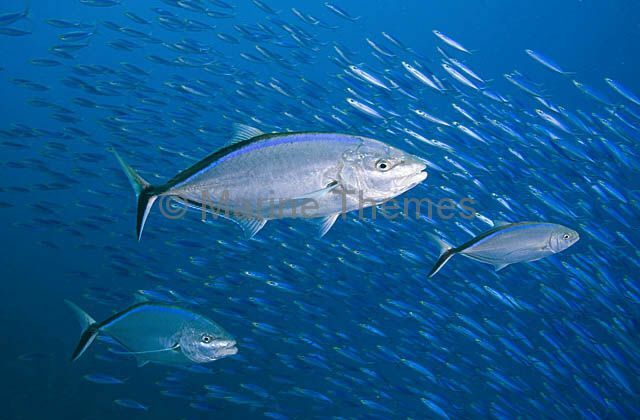 Bar Jacks (Carangoides ruber) hunting baitfish.